Artificial Intelligence was initially introduced as educational discipline way back in the 1950s and since then it led to a stark combination of acceptance and denial. The technological options which are considered as impossible, like for example optical character recognition are currently running widely. 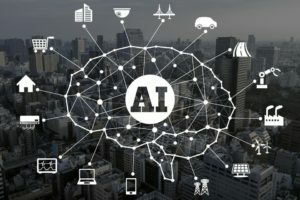 While there are still other technologies which are still to be mastered like autonomous cars, Artificial Intelligence seems to be an awesome tool which can be utilized in the business industries. Artificial Intelligence has started already! Whether its direct or indirect AI adaptations, this specific promising technology is all set to transform everything that we do. Keeping that in mind, let’s take a look at the things that are predicted to happen. Although majority of the AI technologies would require human being to supervise constantly, this might soon change. Companies are having the key objective of developing technology which is able to duplicate cognitive abilities of human beings. This would allow AI systems to be trusted fully during autonomous processes. AI solutions will be able to cope up with complex transportation issues and with the medicine industry. This is why Bill Gates is pretty distressed to think that AI systems will eat up too many jobs and will contribute to unemployment. Close to 705 occupations will see the impact of automation. There’s no doubt about the fact that timing is the main element which could determine the failure and success in 45% of the cases. You shouldn’t be surprised to see that companies are keen on incorporating schedule software based on AI. These software can help companies in making accurate predictions as per available historical and emerging information. Small businesses therefore shouldn’t ignore the artificial intelligence sector and how it helps developing them. As you start using artificial intelligence software, the margin for errors and mistakes which make companies lose money would be reduced drastically. Since human error could be eliminated altogether, this would lead to higher efficiency and accuracy without running the risk of fiscal losses. Machines usually work much faster than humans and they even don’t need regular wages. The expenses which are related to acquisition of customers through lead generation are vital for any company. This might even imply a process of trial and error and exploring different channels before you choose the apt solution. AI has got the ability to change this and can even boost the relevance of such campaigns by reducing the costs. Some task that a sales associate could complete after one week of research could be completed by a robot in few hours or days. The algorithms of AI have the capability of pinpointing different patterns in elements which affect human beings in the process of decision making. These algorithms can provide critical guidelines by offering details on outcomes. Nowadays, people can even utilize apps which can analyze user behavior and store deals. There are many instances of cyber attacks over the last few years and the rates of such attacks have been increasing. Everyone from small business owners to the federal government is concerned about this. Hence artificial intelligence can easily detect such issues. Therefore, if you take a look at the bigger picture, you will see that artificial intelligence is going to have an all-encompassing impact on almost every field. This is why more and more startups are getting keen on including such software to accomplish high levels of cybersecurity.